I don't know if I'd call it "challenging" so much as "unkind." 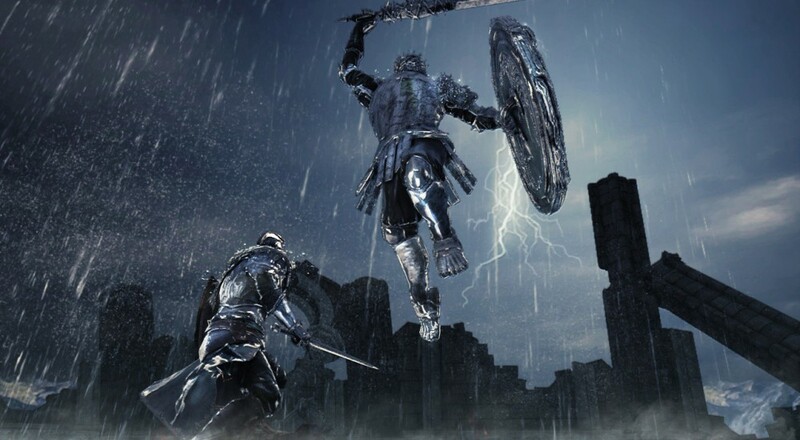 The chaps down at Playstation Access have graced us with some gameplay footage of Dark Souls 2. This isn't any kind of meticulously edited trailer or anything, this is straight up real in game footage being played by them and some Namco Bandai employees. And because it is Dark Souls, you will see nothing but the cold face of death in multiple forms. Besides, is there anything more entertaining than having two British dudes commenting over a series of clips from one of your most anticipated titles? If you want to remain pure to the Dark Souls 2 experience then don't watch the video. Because, ya know, spoilers are so meaningful to this particular title. Well, they do down a boss. You've been warned, so don't get all uppity with me if you see something you didn't like. Do you remember when Namco Bandai said they were going to make the game "more accessible" and the internet exploded with grief and terror that they were going to make it easier? We sure don't have to worry about that. They didn't cut these guys any slack. Those bad dudes hit like semi-trucks hauling twenty tons of nitroglycerin. March cannot get here fast enough. I'm itching to unleash my halberd on some poor undead thing's spine. Page created in 0.2854 seconds.